The Sacred Page: New Evidence Supports Da Vinci Code Book?! Apparently, scholars working in a museum in France have found new evidence that substantiates the claims made in The Da Vinci Code. Art experts working on Leonardo's painting of the Last Supper have discovered some writing on the back of the work by using a highly focused microscope which has never been seen before. The handwriting has been confirmed as Leonardo's. 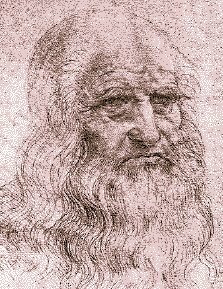 The writing indicates that Da Vinci actually believed he was Jesus' blood relative.